Here at Lawn Rescue we are the professional lawn maintenance company you have been looking for. Our team is committed to keeping your lawn looking good all year long. Our standard lawn care service includes mowing turf areas, line trimming (weed eating) where lawn mowers are not practical, edging around concrete areas, and blowing clippings and debris from all hard surfaces. Many homeowners prefer their hedges and bushes to be maintain in a well groomed shape. 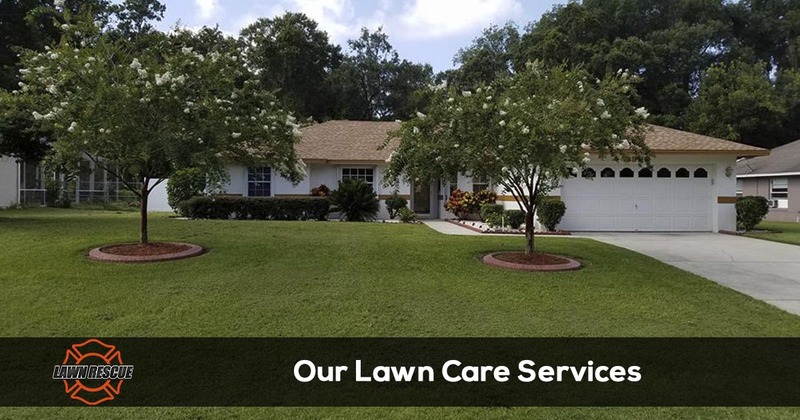 We are well trained in trimming hedges and bushes that are common to homes in Florida and offer this service as an addition our standard lawn mowing service. Mulch is an important and often over looked aspect of the Florida landscape. We offer mulch installation in addition to our core services. Mulch discourages weed growth as well as retaining precious moister on those hot Florida days. Proper mulch installation and mulch depth are important in maintaining adequate moister without encouraging fungus or root rot in poorly drained areas.